Valley's grass mats are flame retardant, rainproof and fade resistant. 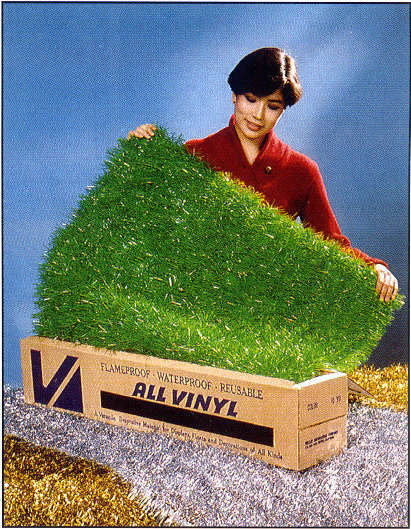 Great for floor and wall coverings, simulated lawn and multi-purpose displays. Available in grass-green vinyl and gold or silver metallic, 3 ft. wide by 10 yards long. Buy this product now!